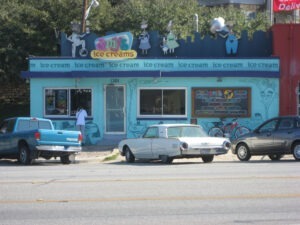 So where would we be without Austin’s cool treats? Probably running around like melting zombies. I don’t know about you, but I’d at least like to be a zombie on a sugar high. To that end, we’ve compiled a Top 4 list of our favorite cool treats in this fair city. Teo Espresso, Gelato & Bella Vita – Besides Austin, my favorite city in the world is Rome. When I was in Rome, I couldn’t get my daily fix of Dr. Pepper. Instead, my substitute was gelato…and I initiated a month-long search to find the best gelato in Rome. I found some amazing stuff there, but that made it all the more difficult to find great gelato back in Austin. I’m happy to have found Teo and their $2 Tuesday special. They have one location in Austin, but their gelato is served at various places around town, including Mozart’s on Lake Austin. 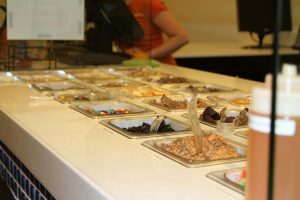 1206 W. 38th St.
Yogurt Planet – Gelato is better for you than ice cream, and frozen yogurt is better than both of them. Not knocking on ice cream, but sometimes we want to eat something void of guilt…right? For those times, we recommend Yogurt Planet. We’re impressed not only by the unique and constantly rotating yogurt flavors, but also by the extensive condiment bar. You can really have some fun experimenting with refreshing concoctions…and we think you’ll be pleased with the price. Located at The Triangle, Hill Country Galleria and The Domain. 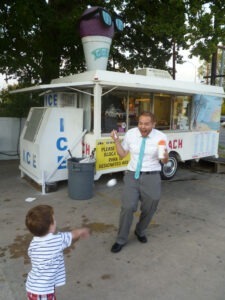 Snow ball fight at Sno Beach! Remember, this short article is only the accompaniment to our actual podcast episode, which you can hear by hitting “play” on the podcast player at the top of the article! The Austinot Podcast is also available on iTunes. Have you been to all the places on our list? What other cool treats in Austin do you recommend? Photos via Flickr CC, courtesy of Ernest Bludger, Ed Fisher and and Eric Frierson.